I am fascinated by trees. Their shape, how they become distorted by their environment, their foliage throughout the seasons – not just deciduous trees, but also the evergreens, when they pop out their oh-so-green new foliage in the spring! 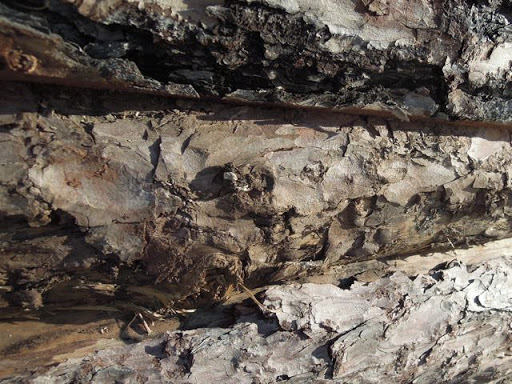 The first thing to come into my head when I saw the “Textures” theme was trees – bark, to be specific. No, I thought, I’ll think of something else, and I took a few shots of other things, like my horses’ thick winter coats crusted with snow, the feathery tops of some reeds growing in a river and mini-snow drifts which had been sculpted by the wind, but I wasn’t happy with any of them and in the end, I came back to trees. 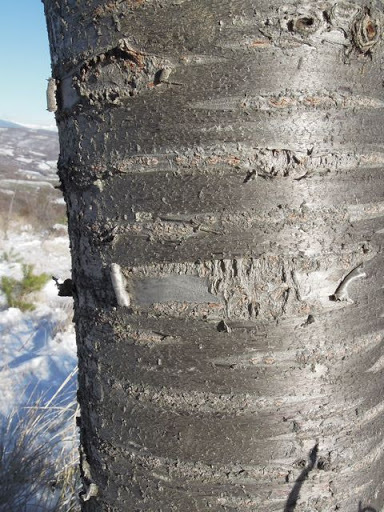 Smooth Bark – I think it’s a cherry tree, I’ll tell you next summer! 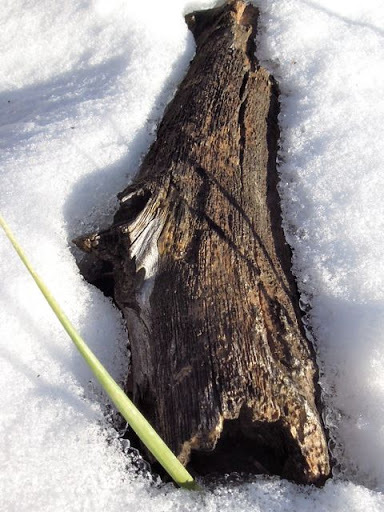 The Bark on the Planks which make up my horses’ Field Shelter! Very interesting shots, it's amazing how much the texture varies! 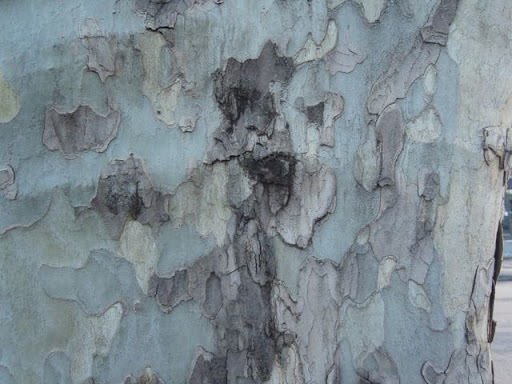 I've never seen a plane tree before, that bark is beautiful. All the shots are, trees are my favorite, well done. Great shots. I, too, love trees. 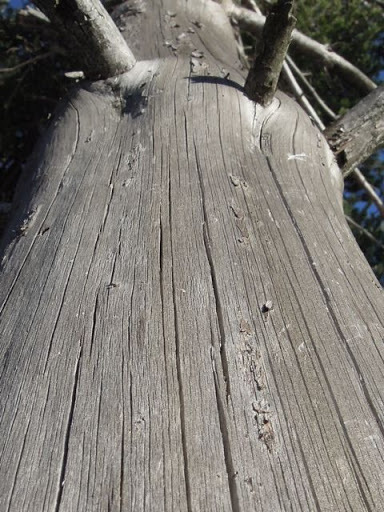 Especially trees with interesting bark. 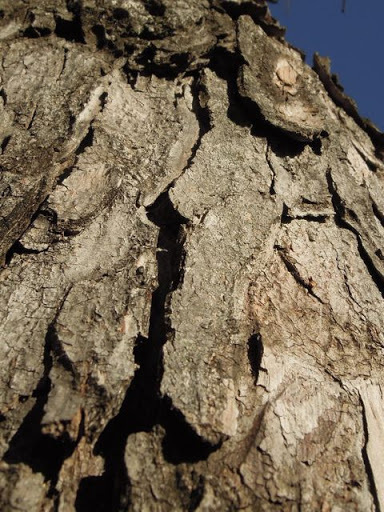 I think my favorite is Ponderosa pine which has bark that looks like a jigsaw puzzle and smells like vanilla. I'm forever sticking my nose into the tree trunk to the amusement of my family. Great choice of subject matter. They are all so different. Nice! You really have a good eye! 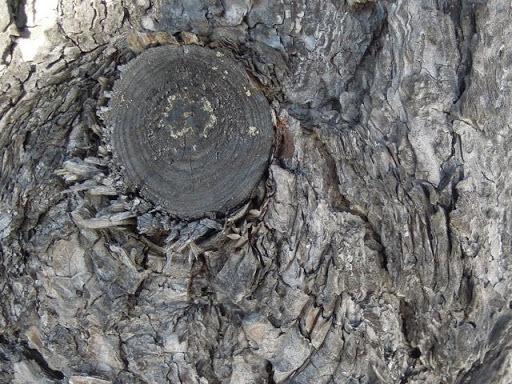 Great pictures of tree bark. I find trees interesting too. Good idea for your Sunday Stills post. Awesome photos! Yes, I think it's a cherry too.